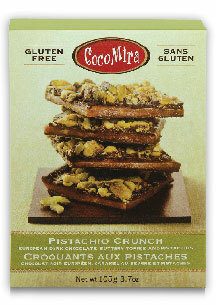 Made with premier pistachios, Cocomira’s Pistachio Crunch is both exotic in flavour while also being a delight to the senses. 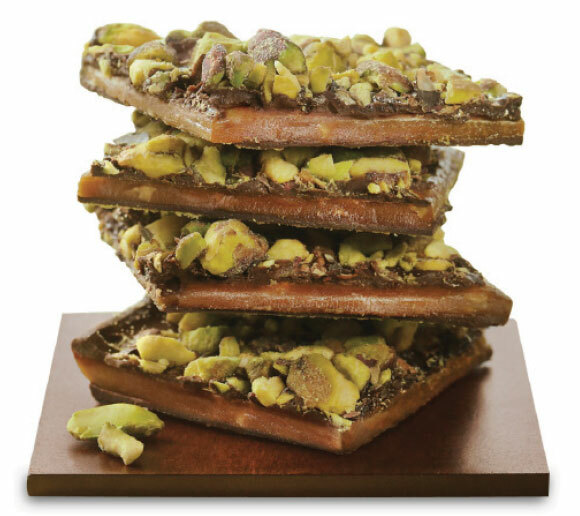 Our bright green pistachios are hand-roasted in small batches daily and gently pressed into dark, European chocolate which is layered on top of our all butter toffee. 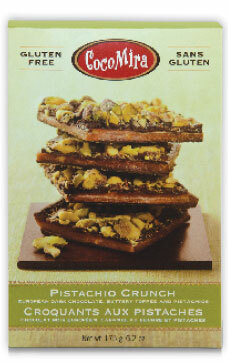 I tried your product today for the first time, the Pistachio Crunch, and it was delicious.